Mac computers with Mac OS 10.7 and later. 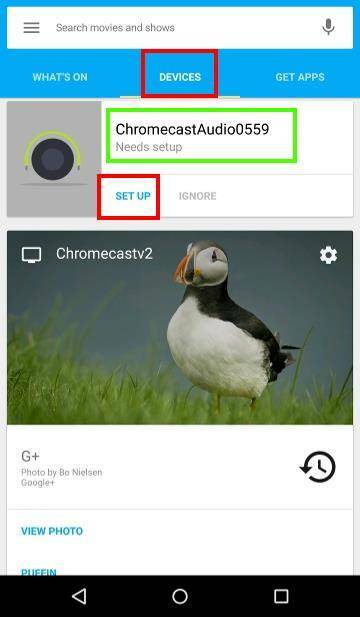 In this guide, Android device is used to show you how to setup Chromecast Audio. 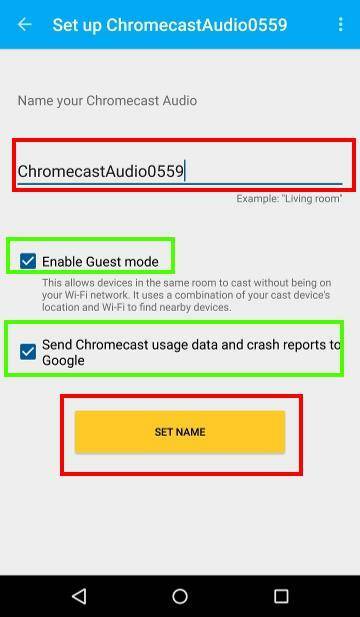 To setup Chromecast Audio, please follow these steps. 3.5mm to RCA cable for analog output. Mini TOSLINK to TOSLINK optical cable for digital output. If your speaker does not support any of them, you cannot use it for Chromecast Audio and therefore you cannot proceed to setup Chromecast Audio. Anyway, almost all speakers and AV receivers support at least one of the three input options. If you speaker or AV receiver supports digital input, try to use the third option which delivers the best audio quality. You need connect the power adapter to Chromecast Audio through the micro USB port and plug the power adapter to a electric socket. Please try not to use the USB port in your AV receiver. You may mess up the AV receiver! You need power on the speaker or AV receiver and adjust the volume to normal level. If possible, you can try to play some music on the speaker to make sure it works if you just grab the speaker from the basement. Now, in your Android device, start Chromecast App. If you haven’t installed Chromecast app, get it from Play store. In Chromecast App, tap Devices as shown below. This will list any Chromecast devices nearby. The list include Chromecast devices that are ready to use and new Chromecast devices. For example, as shown below, new Chromecast Audio device (named ChromecastAudio0559) was found. You must setup Chromecast Audio device so that you can use it. Please note, for each Chromecast Audio device, you only need setup it once. 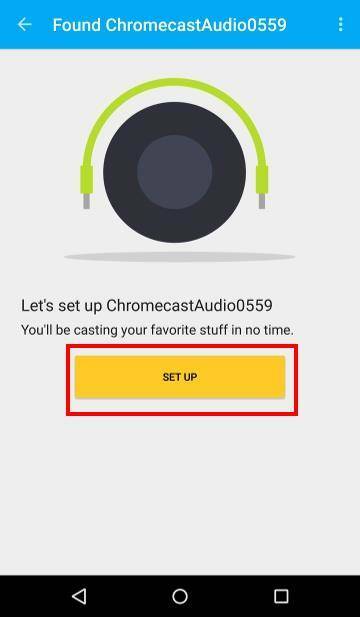 After you setup Chromecast Audio device, it will be ready for use from all other devices. It is NOT necessary to setup Chromecast Audio devices on all your mobiles phones or tablets. You will be brought to a new setup page as shown below. Tap Set up again. 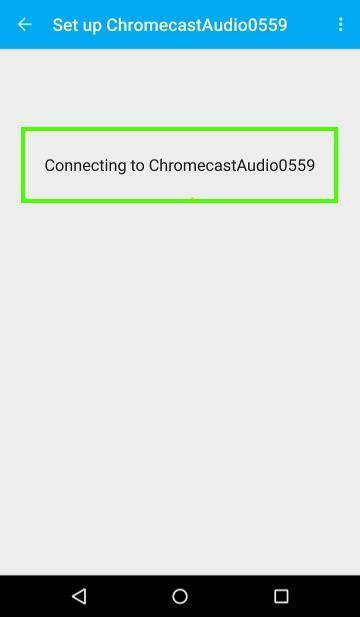 After tapping set up, your Android device will try to connect to Chromecast Audio through WiFi Direct. 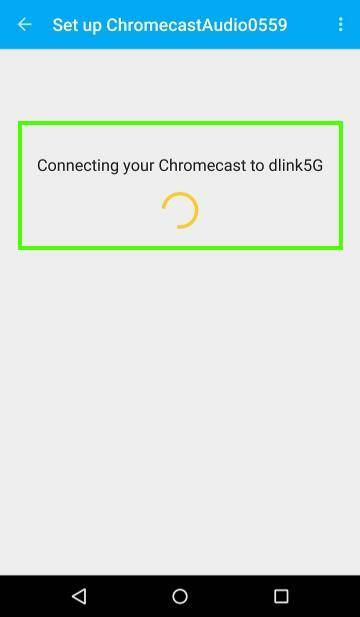 It is not necessary to manually enable WiFi direct on your Android device because Chromecast App will do this automatically for you. XXXX is 4 digit random number for your Chromecast Audio. After the connection is established, you will be asked to play test sound to Chromecast Audio. Tap Play test sound as shown below. 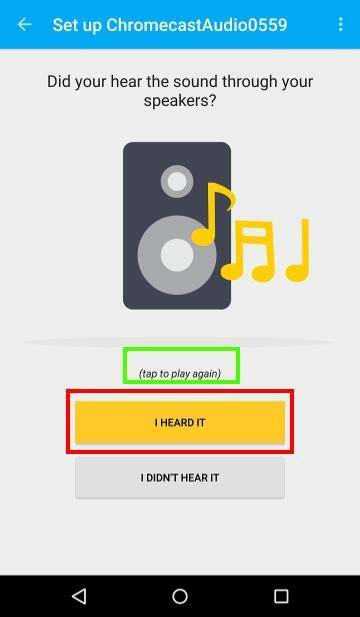 If you hear the sound from the speaker, tap “I heard it” as shown below. You can tap the big speaker icon to play test sound again. If you cannot hear any sound, make sure the speaker is powered on and the volume is high enough. Now, if you are not happy with the name of Chromecast Audio, you can rename your Chromecast Audio. Of course, you can change the name of Chromecast Audio at any time in the future through settings. In addition to changing the name for Chromecast Audio, you can also enable guest mode if you want. If you do not want to send Chromecast Audio usage data and crash report to Google, you can uncheck the option as shown above.. Tap Set name as shown above to proceed. After setting the name for Chromecast Audio, you will be asked to provide WiFi info for Chromecast Audio. Chromecast Audio will try to use the WiFi network which is used by your Android device now. 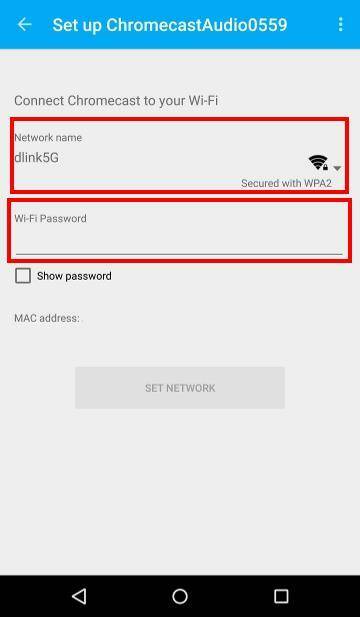 Select the WiFi SSID name from the list and provide WiFi password as shown below. Then, tap Set network as shown below. Please note, Chromecast Audio will save one, and only one, WiFi network. 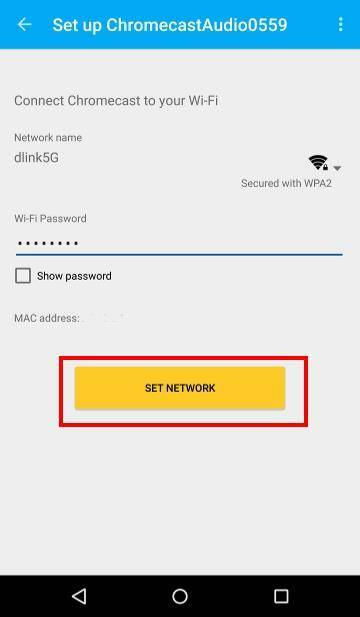 If you change wireless router settings, or change WiFi network, you need factory data reset Chromecast Audio if you cannot access old WiFi network. Chromecast Audio will update the firmware automatically when it connects to internet. If update is available after you setup Chromecast Audio, it will try to apply the update before you can use it to cast. When you update it first time during setup, it will play some demo videos. You can tap skip to skip it. 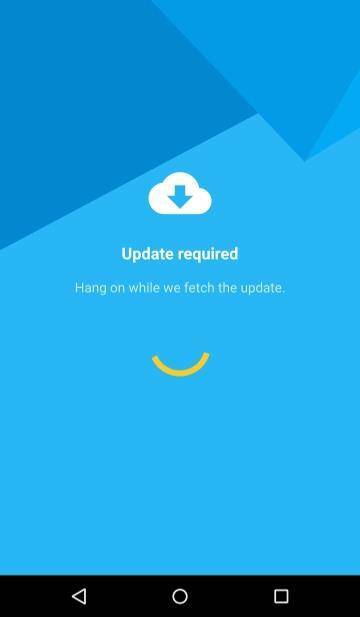 Anyway, it should not take too long to get the update. Of course, this depends on your internet connection speed to Google servers. If it takes too long time, you can simply power off Chromecast Audio, wait one or two mins, then power it on again. Your Chromecast Audio will try to update again. 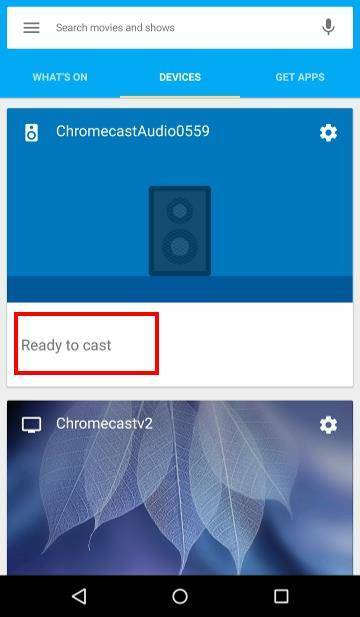 After you successfully setup Chromecast Audio, you will see the Ready to cast behind the device as shown above. This means the Chromecast Audio is ready for you to cast audios. You can tap gear icon to change the settings for this Chromecast Audio device. Can you setup Chromecast Audio now? If you have any questions or encounter any problems when you setup Chromecast Audio, please let us know in the comment box below. The community will try to answer your question and find a solution for you. My husband purchased a new Chromecast audio device. We have spent three days trying to get it to work. We would like to cast via our Chromebook. First, the Chromecast app would not load onto out Chromebook. It says the device is not supported or something to that effect. Somehow I managed to get the Chromecast Extension set up. Using the extension icon we were able to twice get through the installation all the way to the ending step where you connect to your Wi-Fi. We select our Wi-Fi, enter the passwords, and get just spinning. We have checked to see that our selected Wi-Fi says “connected”. We have a modem plugged into our main computer (Dell), and a Cisco wireless router. Can you help? Chromecast app is for Android and iOS devices, not for Chromebook. 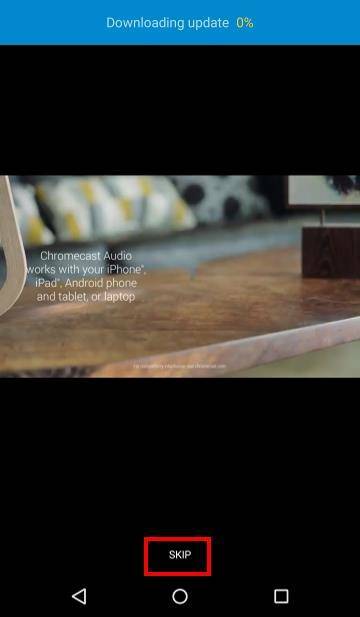 As you did, you should get Google cast extension for Chrome browser on your Chromebook. For wireless router, you need turn off AP isolation if it is turned on. Also, you need select corresponding security protocol for Chromecast. These can be found in your router settings. Did Chromecast find your WiFi network? I wonder if you can help me. I am trying to set up my chromecast audio and i cannot hear any sound at the sound test stage. i have a white pulsing light on my chromecast. i think it may be something to do with my BT hub. Pulsing white LED means the Chromecast audio requires setup. 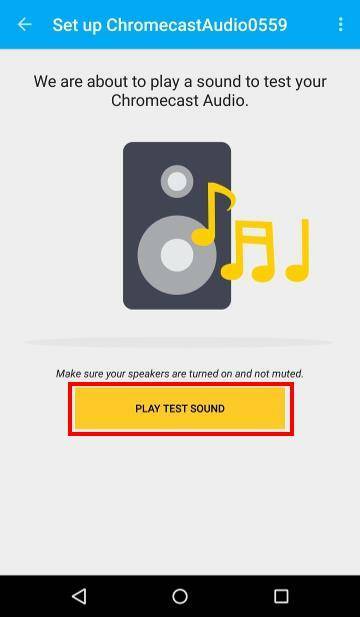 For the sound test, you can try to disconnect the speaker from any other devices. You also need power on the speaker (Chromecast Audio does not power on the speaker). For BT Hub, there are some known problems with Chromecast for their Smart setup. You can try to turn off Smart Setup as detailed in this official page. I’m having troubles getting my Chromecast Audio to change Wi-Fi access points. It runs fine on one, but if my Nexus 7 is connected to a different AP than the Chromecast Audio, the Google Cast app is “unable to communicate” with the device. I think this is a bug as I’ve never had these problems before. I will continue to try to diagnose the problem. Both of my APs have been used for Chromecasts, and I have not turned on client isolation in either. One thing everyone here might find useful: If you long-press the button on the Chromecast Audio, the light begins flashing faster and faster. After about ten seconds it does play a sound through the connected audio device even if your network is not working right — then the Chromecast Audio resets itself. This both confirms the audio connections are working, and it serves as a workaround when changing Wi-Fi access points. If the two AP is on the same router (e.g., one for 2.4G Hz, the other for 5GHz), Chromecast Audio should work with any devices connected to the router. For Chromecast Audio, it can only remember/save one AP at any time. (note: I worked through a change of WiFi points below, twice, and it worked OK both times. Check final point for problem.) They are two entirely different routers. One is from my home ISP; the other is from a mobile WiFi hotspot. The problem comes when I want to change between the two — or to any other WiFi at another location. For example, my Chromecast Audio (hereafter CA) was working fine with my home WiFi network yesterday fine. I’ve just turned off my home WiFi router and have turned on my mobile WiFi hotspot. I plug in the CA and it does show up in the Google Cast app under devices. It needs set up. So far so-so good*. “Set Me Up” — OK. Play Test Sound — OK. Set name again? Why? I’m not going to change the name of my CA just because I’m taking it somewhere. Nonetheless, “Set name” with no change. Enter WiFi password (again! *) — OK. Connecting. OK! Other than having to enter my WiFi password again, that went well. Now let’s switch back. Turn off CA. Restart home WiFi. Turn off mobile WiFi. Restart CA. Wait a minute or so. CA’s white LED is pulsing (needs set up?). Google Cast app, though, says the CA is fine, “Ready to Cast.” I know it is not, though, as it has forgotten the WiFi password again*. I click the three dots and choose “Settings”, now it is asking me to set it up. Connecting. Play test sound. OK. Set name and WiFi password again* Connecting. OK! This wasn’t working before. Now it is OK. If I can replicate the problem again, I’ll report here. Final point: I know all the Chromecast devices save only one WiFi password, but this seems misguided on Google’s part. Every other device saves many. The explanation I saw is that Google wants us to buy another Chromecast for each location, but this is impractical for many sites. I travel to different work sites, and I use their TV’s as my display. I can’t just leave a Chromecast connected to their TV. And the passwords on those sites are often difficult to enter. This problem is only going to get worse with Chromecast Audio devices as people will be carrying them not to work sites but to parties and friends’ houses. Chromecast devices, all of them, need to remember WiFi AP names and passwords. It could be set to require a manual command to change if there is some worry about changing to a data-limited mobile router (like I have) and using up all the data. Just remembering the password is not going to be any kind of security risk, is it? Thank you for sharing the info. Hotspot is not officially supported yet although it works most of the time depending on settings of the hotspot. Actually, it’s a good (arguable) design to save one wifi info. Chromecast doesn’t have a user interface and is not designed as a mobile device. It’s mainly designed as home entertainment device. Of course, this may cause problems for owners like you who need use it at different places. Hello. I got a new Chromecast audio today and got through most of the setup fine, but it hung during the firmware upgrade.then the Cast app asked me about the colour of the light on the device (it was white) and said something like the update worked even if it seems like it didn’t. It doesn’t work and I am not able to start the setup over again because it doesn’t find the device in the Cast setup wizard. I have tried unplugging the Audio and also tried setting it up from a different device. Thanks for reading. What’s the colour of the led in the Chromecast audio? If it’s not solid white, you can reset Chromecast audio, then set it up as a new one. Thank you for sharing the update. It means the router will assign a static IP for Chromecast. This is normally not necessary. Anyway, the colour of the led in Chromecast device can tell the connection problem. These instructions on how to reset my Chromecast Audio worked great and I was able to do it last night. When I went to Pandora as usual, I was given the choice to cast to either of my named devices. This morning I tried to do the same thing and instead of being given a choice of my two names devices, it asked if I wanted to find the nearest device. So I clicked that since there were no other options and it searched for a device but found nothing. I’d like to get back to having the option between my two named devices. Does anyone have a suggestion on how to do that? Can you find Chromecast Audio devices in Google Home app? Hi there, am attempting to set up chromecast audio between an Android phone (Samsung Galaxy 5) and Aux setting on speakers and it just won’t work! The test sound was perfect, and I can cast Spotify via another Samsung phone (6 edge), but not the device intended to pair. You need to set Chromecast Audio only once. After the Chromecast is set up, any devices in the same WiFi network can use it. It doesn’t require “pair”. You only need 1). Google Home app installed on the device; and 2). The device is connected to the same WiFi network. 1. Windows 10 Laptop which feeds Audio Out (from Headphone out) into a Denon Receiver which drives a 7.1 speaker arrangement in the same room (HDMI from laptop goes to TV for A/V content). 2. In adjoining Dining Room, I want to set up the WiFi speaker to receive the SAME Audio content as is being fed into the Receiver and Speakers in the first Room. How can I implement this – is the Chromecast Audio the best way to go? I tried a Bose Sound Touch 20 – problem is it only uses Windows Media Player and only from ONE Gallery of Sound. Also, Windows 10 Sound – I believe – can only have one Sound Out selection – not a second Out simultaneously. Your expert opinion and help is appreciated. 1. Chromecast Audio works best for streaming. It’s not designed for local audio transmission. 2. Chromecast audio needs to be attached to the speaker or av receiver. 3. Multiroom syncs audio playing among Chromecast audio devices in the group. Again as mentioned in #1, Chromecast audio was designed and optimized for internet streaming, not local media playing. 4. Normally, Chromecast Audio is used with dumb speakers to stream music to these non-connected speakers. As I know, Sound Touch app allows you pair the sound touch speakers in the same network so that they can play the same sound. Multiroom in Chromecast Audio actually mimics that feature.